Growing up I thought you could only have gratitude for the big things in life and nothing small. Ever since I started this path towards recovery I have started to realize that you can be grateful for anything in life even the everyday gifts such as walking and seeing. Now closer to my eight months I have found gratitude in the ability to feel anger and grief. I can’t wait to see what the gratitude I will have once I am at a year in recovery. Gratitude is a crucial component of my recovery. I’ve been blessed with a life full of wonderful people and opportunities, but unfortunately took much for this for granted when I was drinking. My addiction controlled my life and warped my thinking to focus on the negative rather than be thankful for the positive. When I am sober and working toward recovery, everything in life seems to get better. I’m able to think more clearly and recognize how incredibly lucky I am to be in a safe environment surrounded by supportive women in recovery. I’m thankful to getting the help I need to survive and build a happy, healthy life for myself. 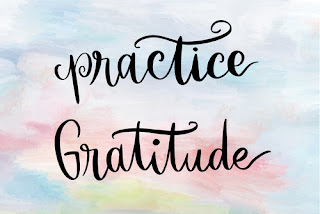 Writing out a gratitude list daily and being mindful of my blessings, even the smallest ones, enriches my spiritual connection and makes life more enjoyable. I am grateful for my sobriety and for my past, even the pain and time spent in active addiction; without the unhappy times I wouldn’t be where I am today working on healing and bettering myself. Being sober makes it possible for me to appreciate my blessings and feel hopeful for a healthy, happy future. Today I am grateful to have woken up tired. It’s a blessing to have slept in a bed, not to have been awake all night just to continue in a sick cycle of madness. I’m grateful to not have been digging through a dumpster, picking out a needle from a pile of cat liter. Having the opportunity to focus on my health and a new way of living is all I could’ve hoped for. Gratitude.. Sometimes I get so lost in the day that I forget to take a moment and appreciate the things around me or the things in my life to be grateful for. Simply being able to walk among the beautiful the sky and fall weather with the beautiful trees and the wind on my face. My family who would do anything in the world to make sure I am safe. The amazing friends I have in my life who I can call at anytime in the day and they would show up for me no matter what they have going on. Most Importantly my Higher Power, without it I would not be able to walk through hardships in recovery sober. When I remind myself of life’s simple pleasures I can turn my day around when I am feeling down. This Is why when I get lost in the day I try to take a moment to appreciate gratitude. Gratitude is the foundation of my recovery; without gratitude I would not be alive and sober today. Through my journey I have learned to be grateful for all the things I experience in life and on a daily basis. I start my day with a gratitude prayer, thanking my high power for the blessing of waking up sober and for all the gifts the day will bring me. When I retire at night, I list all the things I am grateful for that happened within the past 24 hours. Being sober has opened my eyes to the millions of things that I have to be grateful for: the feeling of the wind on my face, orange and blue sunsets, the smell of flowers, random moments of laughter, etc. Most of all I am grateful for the moments and things that challenge me the most. It is out of the hard moments that I am most able to grow. By practicing gratitude I have developed a new outlook on the world: nothing happens to me, but instead happens for me. With gratitude, I am able to learn from every experience. Today, I am grateful for being grateful. I have so much to be grateful for in my life today. I just got 6 months sober, I’m on step 10 with my sponsor & all of my court stuff is officially over for the first time in a little over a year. My family & I are mending our relationship & overall I’ve been pretty happy with where I’m at. At this time a year ago I was far from sober, would be just getting out of jail about a week ago from this time last year & if you would’ve told me that I’d be where I am today, I wouldn’t have believed you one bit. But my life has changed since then immensely & I’m beyond grateful for it. November is the month of gratitude; it’s time to reflect on all the great things life has blessed me with. Sobriety, I am so grateful to be able to practice every day. I am so grateful to be sober and to have found myself again, I can be the mom I always knew I could be and I have so many sober relationships today. I am grateful to be able to face my fears head on. I push through the darkness into the light. With my addiction, heights, being vulnerable or having to be away from my child at this time for a beautiful future with him. I am so blessed for my ability to walk, talk, see, I have food and water as well. I am so blessed to have these abilities and privileges. I am grateful for my new found happiness alongside my Higher Power facing the world head on. Everyday I’m grateful that I don’t have to use when I wake up or go to bed. I’m grateful for the people that love and support me. I’m grateful for my family. I’m grateful for the sun and the moon. I’m grateful for the ridiculous weather changes that are happening right now in Prescott, AZ. I’m grateful for my sweet sweet dogs. I’m grateful for candy. I’m grateful for food. I’m grateful for my body and everything it does for me. I’m grateful for a bed to sleep in, a warm one, and a roof over my head. I’m grateful for vehicles. I’m grateful for engineering. I’m grateful for technology. The point is I’m grateful for a lot of things, even the basics. The list goes on and on. Today I live a life I can be grateful for! I have overcome my depression and my anxiety is manageable today. I have 14 months clean and sober today! I live a life I am proud of finally. I have a connection with my family again, I am learning how to be a successful woman in society, and I am comfortable in my own skin. Every day, I learn more and more about myself and I am continuously growing. I am so grateful for my life and what I have worked so hard for to achieve. Gratitude is one of the most important principles to live by. No matter what I’m struggling with, I think about things that I am grateful for, and I always feel a little bit better. I’m grateful for so much in my life; family, food, friends, recovery, the list can go on and on. One thing that I feel the most grateful for is my sobriety. Without it, I would have nothing good in my life, I would be in pain, and misery. My life has become full of greatness; things that I would never imagine have happened to me. I am truly grateful for every opportunity I’ve been given in recovery, even the challenges presented to me. I’ve learned to cope with the most difficult emotions and trials of life, and I’m forever grateful for that. I feel so incredibly blessed! I prayed for the most perfect treatment center for me and I ended up here at Canyon. I’m sooooooo grateful! I’m grateful to be here in Prescott. The whole town is super supportive of AA which is awesome. I’m also grateful for the amazing staff here at CCR. I’m grateful to be able to go out in nature here so often. I’m grateful to my family for allowing me to have this wonderful opportunity right now. They say a grateful addict will never use. I’ve found this to be true in my own experience. When I have gratitude, I have hope and purpose. I have something to believe in that is greater than myself. I find that the more grateful I am, the more content I am with life. I enjoy my days. I also find that there’s so many things to be grateful for in each day. 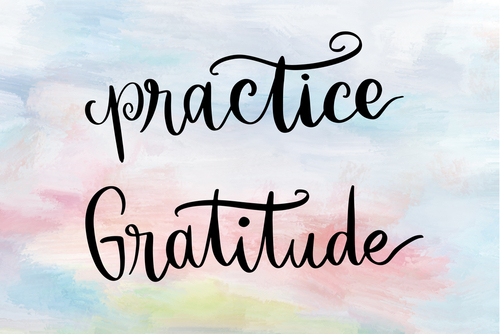 I practice making a gratitude list each night that is specific to that day. I find my higher power gives me so many wonderful things about each day where I can grow, enjoy life and stay sober. I’m grateful for each day, one day at a time, just for today. I have heard many times that a grateful alcoholic will never use. Whenever I’m feeling like the world is out to get me I will sit down and write a gratitude list. I wrote out 200 gratitude’s about a month ago and it reminded me how much beauty I actually see in my world. I have so many little things in my life that I take for granted and when I really acknowledge everything I love and appreciate about my life my life becomes beautiful and it always gives me reasons to live again. What do I have to be grateful for this holiday season? There are so many things. I am grateful to be here at CCR they have giving me a life I never knew I could have. I am grateful for my family for giving me a second chance and for never giving up on me. I am grateful for the love and support of all the amazing women around me, but most of all I am ever so grateful for my sobriety, without being sober I would not have any of these things to be grateful for. Being sober has brought so many wonderful things into my life. I laugh again I see the wonderful colors of the world. I have real friendships and know how to be a friend. This holiday season is one I have everything to be grateful for. Thank you to CCR and the love and support of the people in my life. So, the topic of gratitude. That’s a big and beautiful one. What do I have to be grateful for right here in this moment? Let’s see… I have to be grateful that I can see- with my intuition and with my eyes. I must be thankful that I know right from wrong and left from right. I have to be grateful for my path, my journey. Every which way I go down, it is the always the right one- in accordance with His plan. I am grateful for God- for His existence, His power, and for His relationship with me. I am grateful for my toes and that I get to wiggle them. I am grateful that I can breathe through my mouth and nose, and that I have the option of breathing through my mouth when my nose is stuffy. I am grateful that I can laugh again, that when I do it is true, and that I frequently do. I am grateful that I can lick my lips and I am grateful for chapstick. I am grateful for bouncy houses, and that I’ve gotten to go on em’. I am grateful for my spit- I detest a dry mouth. I am grateful that I have a fully functioning digestive system. I am grateful for water bottles and Tupper-ware. I am grateful for my lashes, that they flutter. I am grateful for true love’s kiss. I am grateful for the all-important Hershey kiss. I am grateful for scrunchies. I am grateful for the word “stam,” stam (it means “just because” in Hebrew. How useful that they have a word for that!). I am grateful that I can read and write in Hebrew. I am grateful that I can read and write, period. I am grateful for the eight basic emotions, and I am grateful for the complex ones too. I am grateful that I have hair to twirl and food to eat. I am grateful for fairies. I am grateful that I have so much to be grateful for, and I am grateful that I am me. I’ve been given a wonderful life today. I can actually look at my life with gratitude and emotion, instead of just existing and waiting for the day to be over. I got to reconnect with my family and we were able to speak honestly about my disease and about things we’ve not been able to talk about before. I left that weekend feeling so much love and gratitude for my family and for the love that I’ve been shown and am able to show today. I can value little things today because I’m not constantly miserable or numb anymore. I can feel my feelings and I can appreciate life. Six months ago if you would’ve asked me what I was grateful for I would have said things like food, my car, and my house. Those are all things that we should be grateful for and I’m sure we take for granted but very vague. Two weeks ago my parents came to visit me and my dad said something that really stood out to me. He told me he was grateful for what our family had been through. I was astonished at this. I tried to look at it from his perspective and then mine. I couldn’t understand why someone in their right mind would be grateful for a life like this. I sat with these words for a couple of days. I looked back on all the hardships, the hell our family had put each other through. And then it finally hit me. If it hadn’t been for everything that happened, my family wouldn’t be as close as we are now.